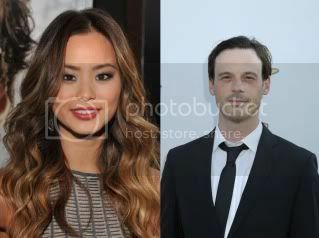 Jamie Chung (The Hangover Part II) si Scoot McNairy (Cogan’s Trade) vor juca in indie-ul Eden, regizat de Megan Griffiths. Eden este o drama bazata pe o poveste adevarata, care spune povestea unei tinere coreence rapita si obligata sa se prostitueze de catre traficanti de fiinte umane. In timpul celor 2 ani in care a fost tinuta ostatica, ea isi asigura supravietuirea obtinand cat mai multa putere si influenta chiar in organizatia responsabila pentru rapirea ei. Richard B. Phillips si Megan Griffiths au scris scenariul, bazat pe povestea lui Phillips si Chong Kim. Productia filmului are loc in aceasta luna in Seattle si Washington. I was looking through some of your posts on this internet site and I believe this internet site is rattling informative ! Keep on posting . You can certainly see your enthusiasm in the paintings you write. The sector hopes for even more passionate writers such as you who aren’t afraid to say how they believe. At all times go after your heart. “He never is alone that is accompanied with noble thoughts.” by Fletcher. You are my breathing in, I possess few web logs and occasionally run out from brand :). “Truth springs from argument amongst friends.” by David Hume. Real fantastic visual appeal on this internet site , I’d rate it 10 10. In the great scheme of things you actually receive a B- just for hard work. Where you actually lost us ended up being on your facts. You know, they say, details make or break the argument.. And it could not be much more true here. Having said that, permit me say to you precisely what did do the job. The writing is certainly pretty engaging and this is probably why I am taking the effort to comment. I do not really make it a regular habit of doing that. Secondly, even though I can easily notice the jumps in logic you come up with, I am not really confident of exactly how you appear to connect the points which inturn produce your conclusion. For the moment I will, no doubt yield to your point however wish in the near future you actually connect the dots much better.